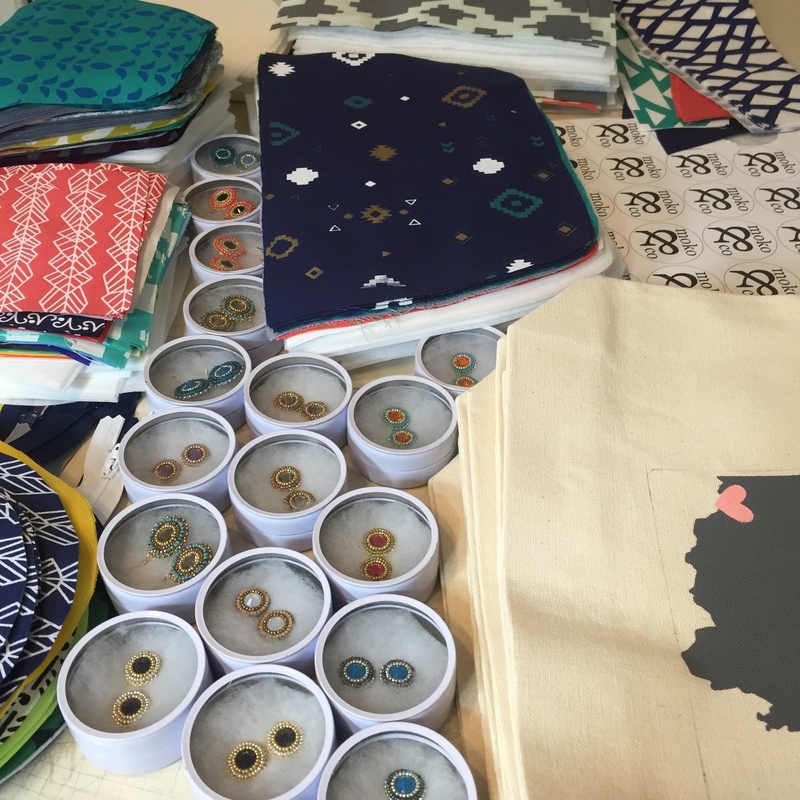 Moko and Company is a design company based in Charlotte, North Carolina specializing in screen printed fabrics, surface designs, welcome tote bags, and handmade products. Moko and Co was founded by two sisters and their mother, Megan and Kristy (sisters) and Laurie (mother). Megan and Kristy were just teenagers when they started to sell handcrafted jewelry pieces. Over the years they learned several new techniques and took many classes that interested them; from sewing to screen printing, to calligraphy. Eventually, they decided to take themselves as serious Makers and Megan dove in full time working on the company. Bubbly wine totes are handy for groceries, books, and for toting around your everyday essentials. They make a wonderful gift for someone who has something to celebrate! Best of all, you can choose your own color. Measures: 13"W x 14"H x 3"G with 25" Handles. 10 oz cotton. Please see images for available colors.